My issues haven't been "fixable", but the team always responds quickly to let me know what's what or that they'll get someone to look into it, and always say they'll pass feedback on. Very friendly and responsive! The twitter team responded within the hour and solved my problem quickly and effectively. Thank you! Love the LinkedIn Help team! I've tagged Linked In help 3 or 4 times and they always respond promptly. Today, they had an outage and things were going pretty slow and I imagine they had a lot of tweets to deal with. They fixed things asap and kept people upto date whilst doing so! Good on them! Customer service immediately helped me with my membership issues even though we had a time zone difference of 9 hours. My problem has been solved to my favor at the end of the day. Perfect service. Perfect collaboration. Customer Focus on point. Thanks again! JP, AMl, jlk, Jmc and the other guys in the customer service, they are unique with extraordinary keyboard and problem solving skills. This team is amazing, and this is mainly because they are capable to adjust, to compete and to complete any kind of difficult situations in the main website. Customer service was speedy, helpful, and solved my concerns with no problems! I sincerely appreciate their responsiveness and kindness! They tweeted back within 15 minutes. So helpful! OUTSTANDING SERVICE! The average response time for my questions was less than 5 minutes, which was far beyond my expectations! Incredibly impressed with LinkedIn Help's attention to detail and commitment to supreme quality service. HIGHLY RECOMMENDED! I have noticed a definite improvement in the speed and quality of response in the last two months. I have a paid account so I do get priority service. I think the introduction of volunteer LinkedIn experts has also been a positive development. 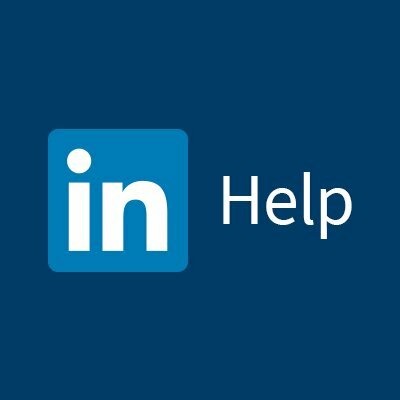 LinkedIn Help team is amazing on Twitter. It's way faster than 44 min average listed here. These guys are professionals and will bend over backwards to help you. Who wants to write an Email anymore? Go directly to @LinkedInHelp on Twitter. Those 3 letter abbreviations of each of the customer support reps, will become like "beloved" acronyms to your life. They have for me! Oh no! Sounds like you had some technical difficulties for sure! This doesn't appear to be a review of LinkedIn Help, though. O melhor e mais eficiente na hora de resolver algum problema! Parabéns pela excelente maneira de prestar serviços de atendimento! Linkedinhelp has to be the best support service going! Super speedy and friendly. They set the example of exceptionally good customer service! Well, Linkedin Help rocks. In no time, they got back to me and resolved the issue and that too via Twitter. The team seems very active and helping. Hands down LinkedinHelp is superior help and killing it every time. Well done to entire staff! Kudos to Linkedin for setting up a good example for responsive support, even for non-premium members. The best social support I've ever had! BY FAR one of my fav social media support accounts on all of Twitter! Mainly because of this: https://goo.gl/yAHDdY -- I posted it on my FB; errrrybody loved it.